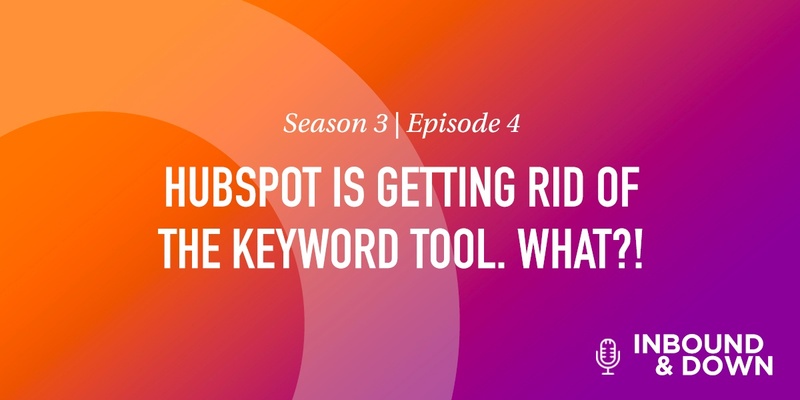 'Inbound & Down' S3 E04: HubSpot is getting rid of the keyword tool. What?! 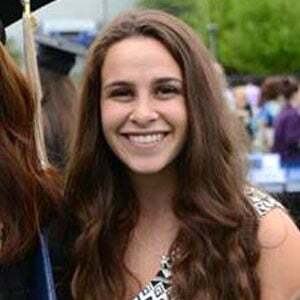 On this episode of 'Inbound & Down,' co-hosts Jon Sasala and Danielle Esposito discuss HubSpot's decision to eliminate its keyword tool. On February 5th, inbound marketing and sales platform HubSpot published a blog titled "We're Sunsetting Keywords in 2018. Here's Why," explaining its decision to eliminate the keyword tool, effective on May 30, 2018. Honestly, we were shocked, confused, and maybe even a little annoyed at the news. Admittedly, HubSpot's keyword tool definitely has its drawbacks: It only tracks the keywords you enter, doesn't list others you should be targeting, only updates once a week, and is often unreliable. As a result, we supplement all of our keyword research with third-party tools, anyway. However, we still rely on it to manage and organize our keywords for each of our clients. So, initially, we just couldn't understand why they decided to remove such an important component. In short, HubSpot's explanation is that the days of marketers planning and creating content based solely on keywords is over, and that the way consumers search has significantly evolved. Thanks to Google updates such as RankBrain and Hummingbird, searching the internet has become smarter (and better) than ever when delivering results—which means marketers have to evolve, too. HubSpot suggests that instead of keyword-based content, marketers should be focusing on topics and information architecture. 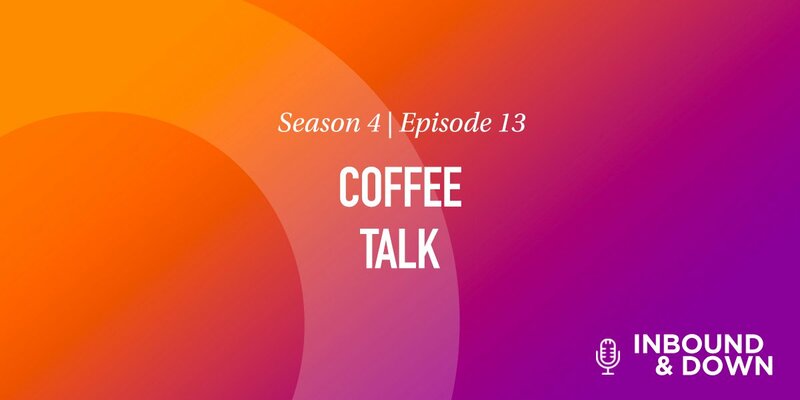 This is something we've discussed in past episodes and it's where HubSpot's new Content Strategy tool (which we've been ranting about for the past year) comes in. "We strongly believe the future of content and SEO is rooted in user intent and providing searchers with the best content that answers all their questions." 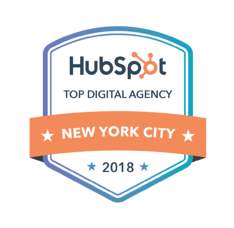 "We've refocused on topics and moved to the topic cluster model, which naturally organizes content in a way that's better for search, and for humans, and creates deep comprehensive content," explains HubSpot. "We strongly believe the future of content and SEO is rooted in user intent and providing searchers with the best content that answers all their questions. This is why we built the new content strategy tool." It turns out that rankings can vary, drastically. In fact, a study by StrategiQ showed that search results show 0% stability. Google focuses on the intent of your page, not the specific term you're trying to rank for. One single page can rank for several variations of the same keyword. These points (the final two bullets in particular) exemplify that it's more effective to create content around a topic, rather than drilling down into keywords. So... What Do I Do Now That the keyword tool is going Away?! Just because the keyword tool won't be there anymore doesn't mean keywords aren't important. Utilize third-party resources such as SEMRush, Moz, or even the related search results Google provides at the bottom of search engine results pages (SERPs). 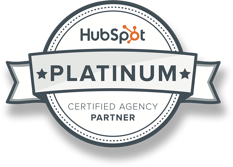 Explore and familiarize yourself with HubSpot's new Content Strategy tool. Discover how you can use it to evolve your topic-based content strategy to improve your SEO rankings. HubSpot is sunsetting their keyword tool on May 30, 2018. HubSpot hopes this will encourage marketers to use the new Strategy tool to create content around topics, rather than keywords. Keyword research is still important! Utilize third-party tools to supplement your keyword research. Questions? We'd love to hear your thoughts on the removal of the keyword tool. Comment below, or email us at inbound@moreycreative.com.